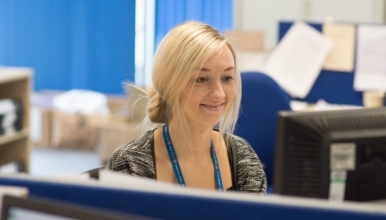 This is an exciting opportunity for an individual to play a key role in delivering a high quality service at The Shrewsbury and Telford Hospital NHS Trust. The successful post holder will work closely with managers and staff at all levels to help develop and maintain a high quality Patient Access Service. The post holder will be working in Booking & Scheduling Department based predominantly at The Royal Shrewsbury Hospital. Induction and Training will be provided. Possession of GCSE qualifications or above in English Language and Maths or equivalent, along with a good supporting education are all essential. Working knowledge of using Microsoft Office applications, an understanding of data protection and maintaining strict confidentiality in the healthcare setting are all essential together with excellent organisational and communication skills, flexibility, good time management and the ability to work as part of a team. The successful applicant will be a strong completer-finisher and team player, all with a strong consistent focus on producing high quality work. In the event of an extremely high response to this advertisement, this post will be closed. Early applications are advised.